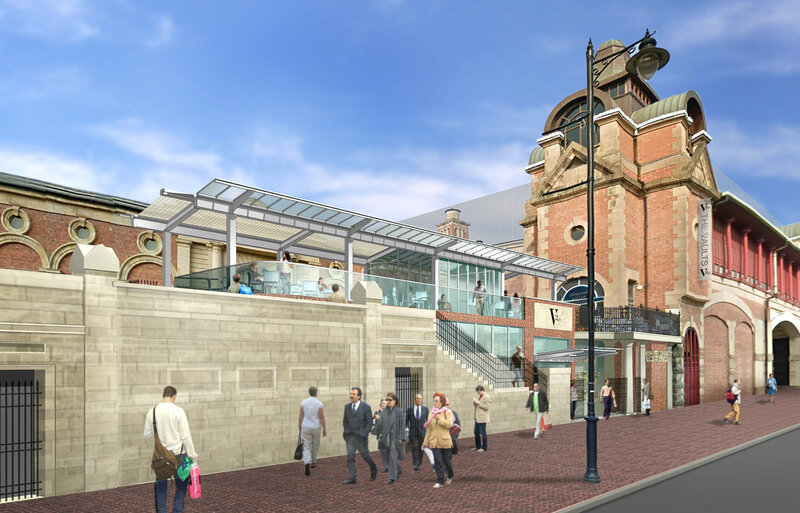 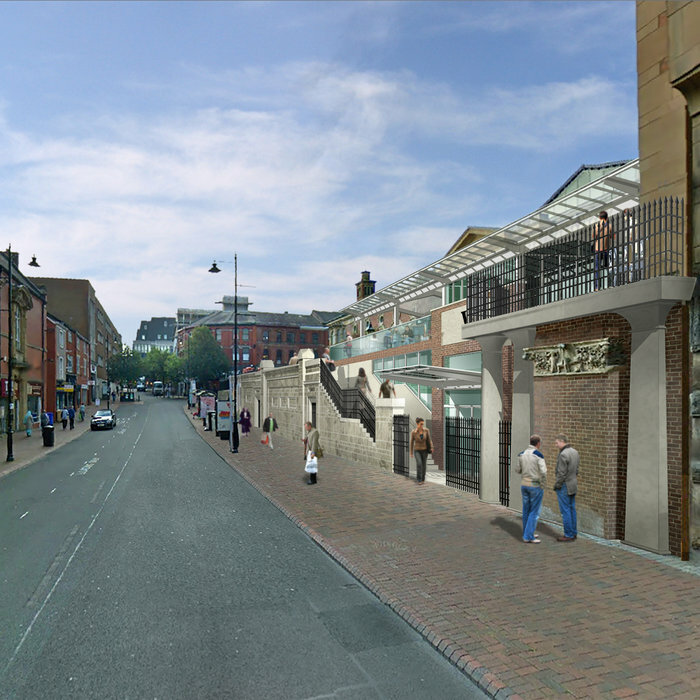 As part of our on-going involvement in the regeneration and extension of Bolton Market Place, Listed Building and Planning Consent has been granted for the conversion and extension of the vaults that lay beneath for former Fish Market, adjacent the Market Hall. 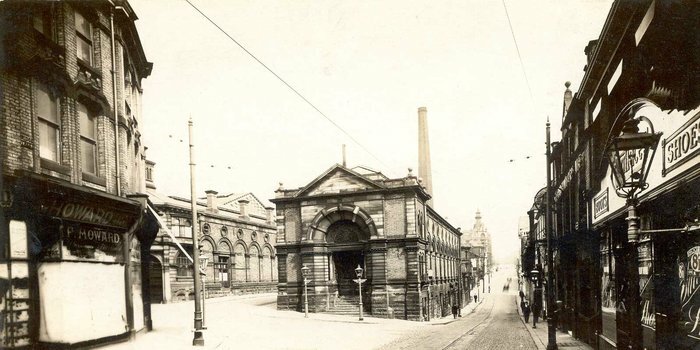 The Fish Market was demolished in the 1930's and the vaults were converted into public toilets. 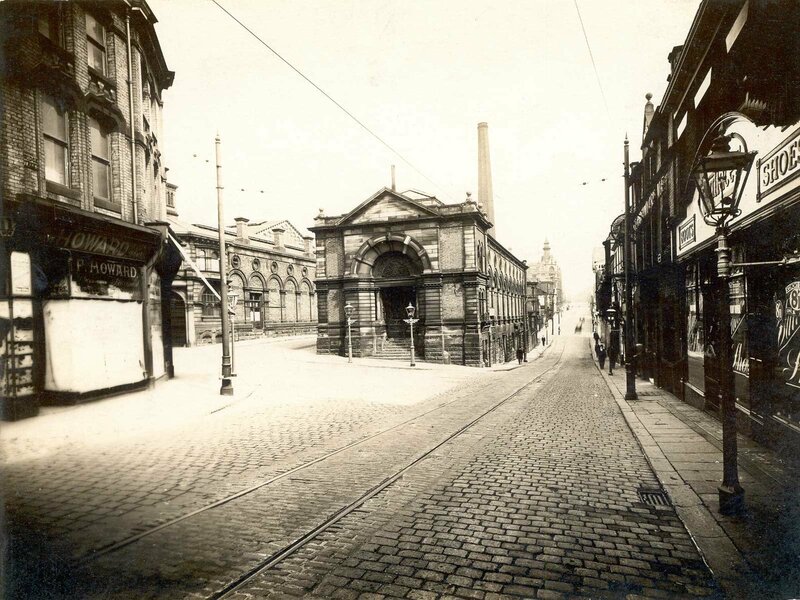 The toilets were closed many years ago and have been redundant ever since. 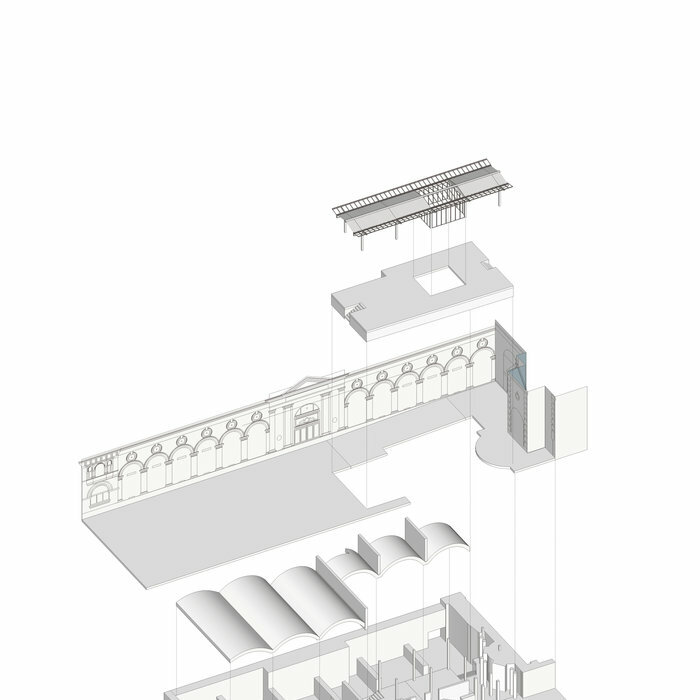 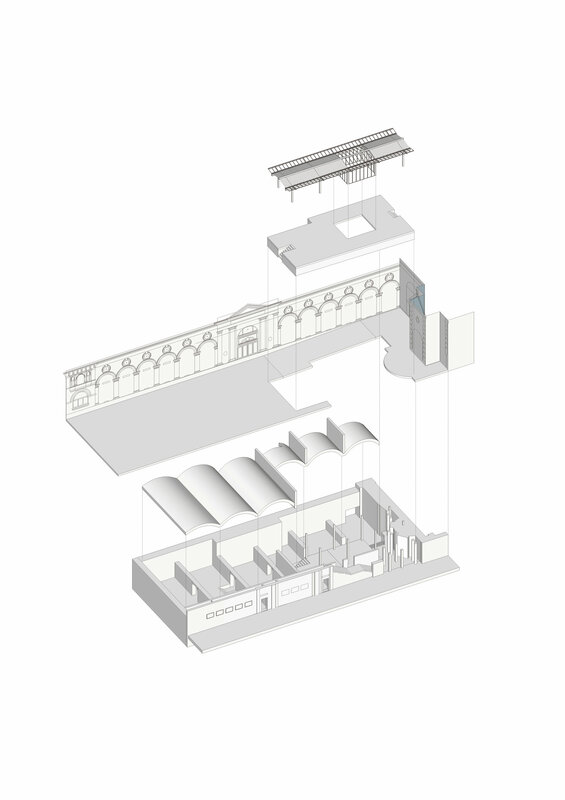 The proposal will return the vaults to their original condition and extend them through the formation of a new glazed structure over two levels, connecting the vaults below with the existing terrace above. 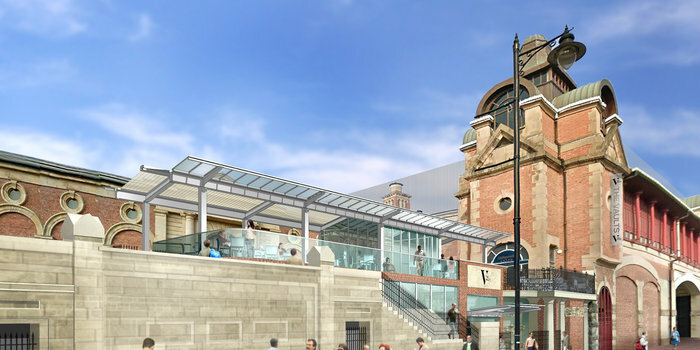 The new structure stands on the site of a former terraced landscaped area. 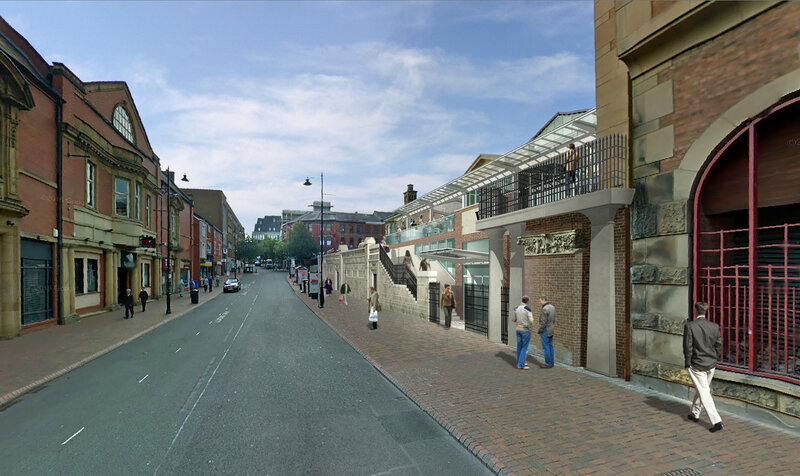 There will be a new entrance into the converted Vaults (see The Vaults Bolton on our site) from Bridge St, thus improving permeabilty through the Vaults and into the shopping centre above.